This high accuracy WiFi-enabled temperature data logging sensor can remotely monitor an environment over a -40 to 125°C (-40 to 257°­­F) measurement range. Data is uploaded periodically using a standard WiFi network to the EasyLog Cloud or a single host PC. Supplied with thermistor probe and mounting clip. 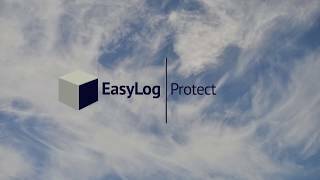 Use the EasyLog Cloud Apps for Android and Apple to easily setup your device and access your data anytime, anywhere. Initial configuration of the data logger can be done in two ways. Either download the EasyLog Cloud App for your smartphone or run the EL-WIN-WiFi software on Windows for your PC. Download the latest versions or read more about connecting your WiFi device to the Cloud from the links below.